More effective and cheaper than SMS! With Viber, you can send all types of messages and make phone calls to other registered users for free! 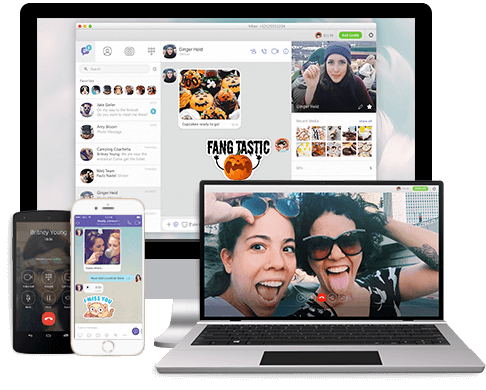 You can make audio and video calls, send video or voice messages, use stickers and GIFs, and more. 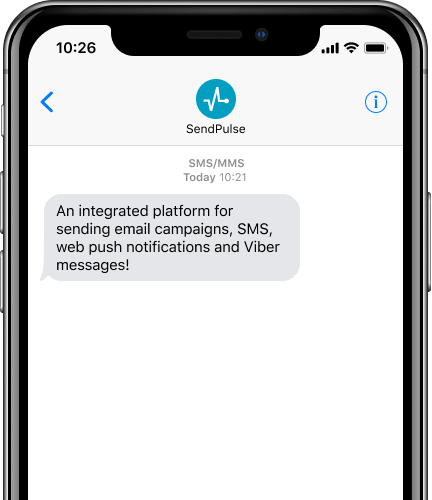 A new feature in SendPulse allows you to send messages to users in Viber with images, buttons, and text. The number of characters in the message can be six times greater than in a standard SMS message. Text alone no longer sparks interest in recipients. Add to your text a thematic image that will demonstrate your product or service, and also place a call-to-action button such as "Learn more", "Buy", "Watch", etc. 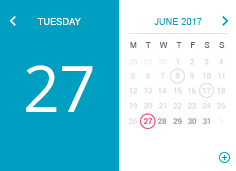 Send the message at the time of creation or postpone it to a later time using the Scheduler. Scheduled messages will be sent out automatically without your intervention. The period during which the service will attempt to deliver a message is called the "message lifetime." It can be set in case the recipient was unavailable at the time of sending. If the message lifetime of the message sent to Viber expired, your message can be delivered to users via SMS. To do this, enable the function "Resend to unreads by SMS." From now on, you will not be limited by character length. You do not need to think about how to put a message into 140 characters, as in an SMS message. In order to start sending messages to Viber, just register the sender's name. It is several times cheaper than sending SMS messages. Payment is only required for delivered messages. Important to know: Monthly fee - 400 € ? The activation of a new Viber sender lasts from 7 to 30 days. Great, easy to use, and efficient.